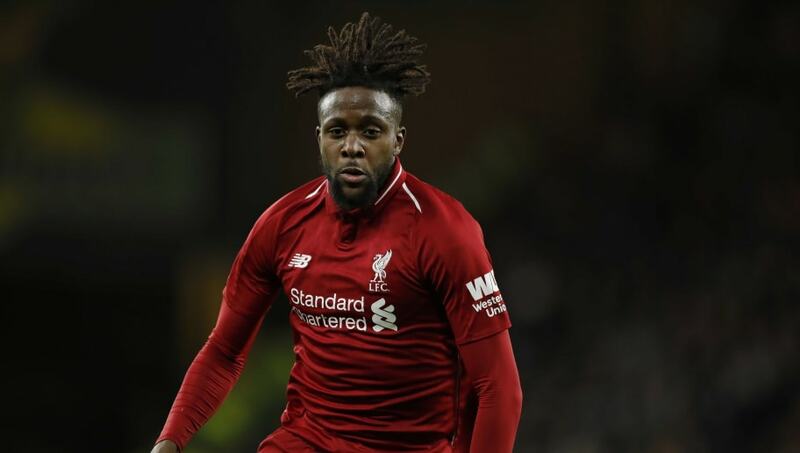 Former Tottenham Hotspur midfielder Jermaine Jenas has suggested that Spurs boss Mauricio Pochettino should consider signing Liverpool forward Divock Origi as a replacement for the injured Harry Kane. Despite a lack of involvement for ​Liverpool during this year's campaign, it is unlikely Origi will be sold in the January transfer window, yet he could be made available for a short-term loan move away from the club. With​ Harry Kane expected to be sidelined with an ankle injury until March and Son Heung-min currently on international duty with South Korea at the Asia Cup, Spurs may make a late move for a striker to offer a different type of option to target man Fernando Llorente. Writing in his weekly column for the ​Daily Mail, Jenas addressed the issues surrounding the need to go and replace the Kane by declaring: "Of course, it is difficult to get the right player right now. "Unfortunately Chelsea won't be offering a helping hand as Michy Batshuayi would be the sort of player who could help. Or even Alvaro Morata. "Spurs may have to bring forward some of their plans for the summer. So, although more of a wide player, if the Brazilian Malcom is available from Barcelona, bring him in. Or Divock Origi, who seems to be wasting away at Liverpool." Although ​Origi has only made five appearances in all competitions for Liverpool this season, the 23-year-old has still demonstrated his effectiveness in front of goal, scoring twice and providing one assist. The former Lille forward could be a viable option for ​Tottenham to consider as they enter a crucial stage of their season. Any further slip-ups in the Premier League following last week's defeat to Manchester United could see Spurs drift into a battle for a top-four position after only being six points behind leaders Liverpool in December. The Lilywhites face a huge clash against rivals ​Chelsea in the second leg of their Carabao Cup semi-final on Thursday as Pochettino looks to get one step closer to winning his first trophy at the club since taking over as manager in 2014.